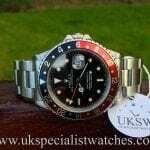 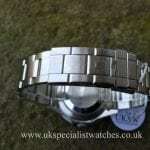 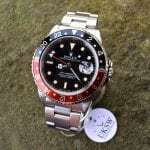 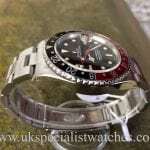 Rolex GMT-Master II 16760 original Swiss T Dial with creamy patina lume plots reference 16760. 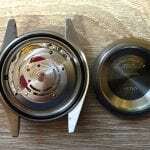 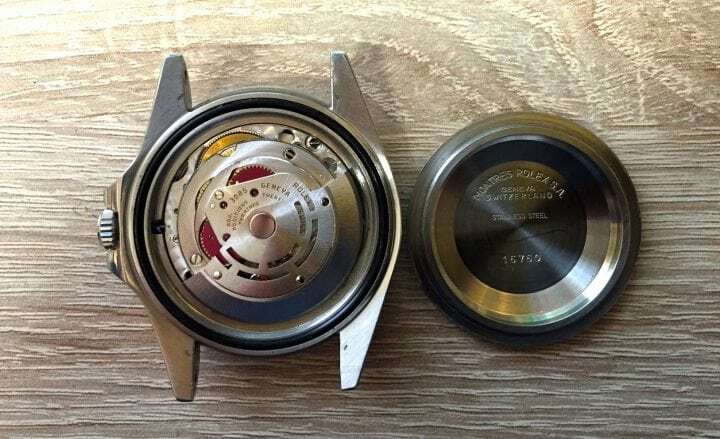 These rare 16760 GMT Coke’s were given a calibre 3085 movement and a extra-thick 5mm case, thicker than the 16710 GMT’s as well as much thicker bezel & crown guards. 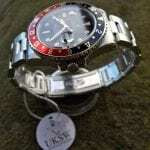 This model inherited nicknames such as “Fat Lady” and “Sophia Loren”due to the size and shape of the case. 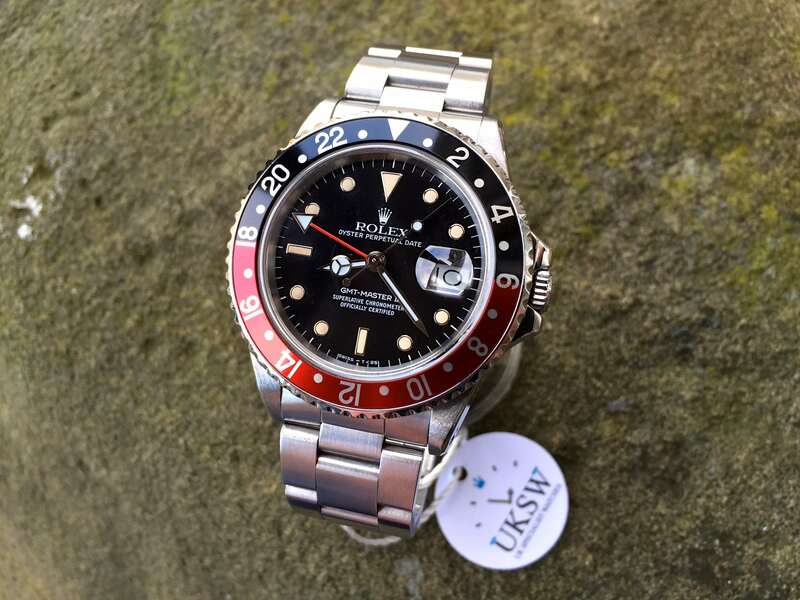 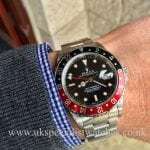 Also the 16760’s were never produced in bi-metal or solid gold and only available with the red/black Coke bezel. 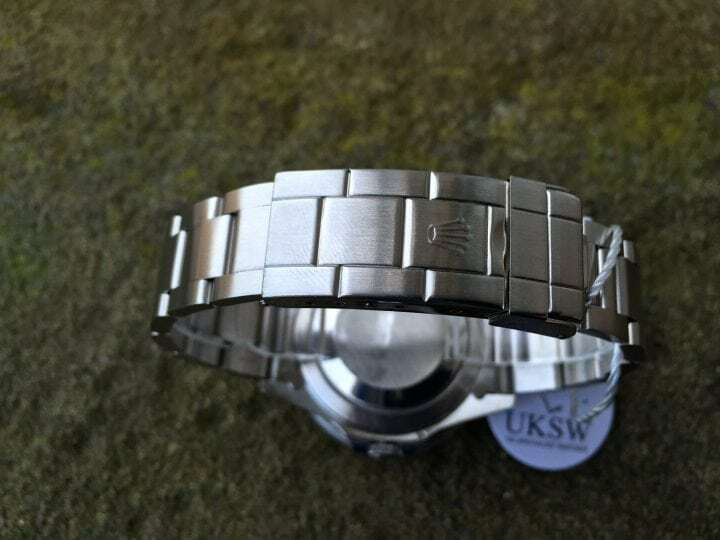 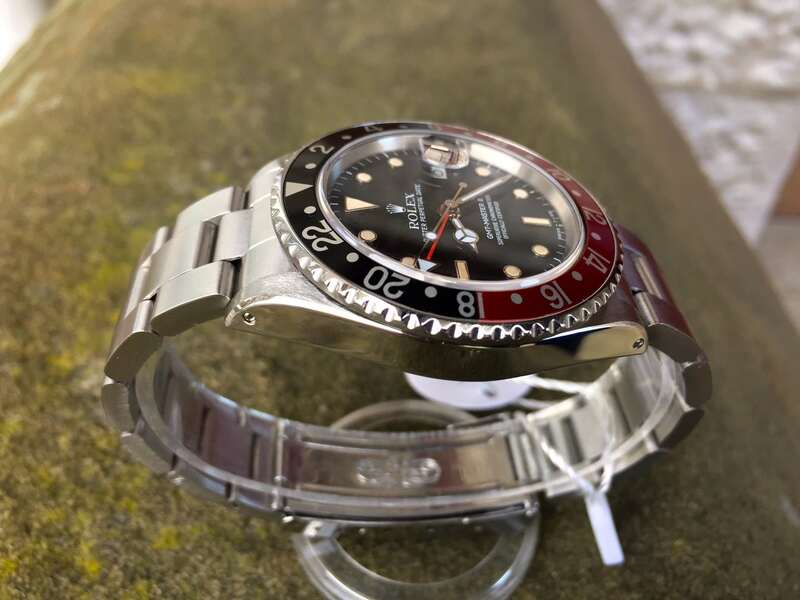 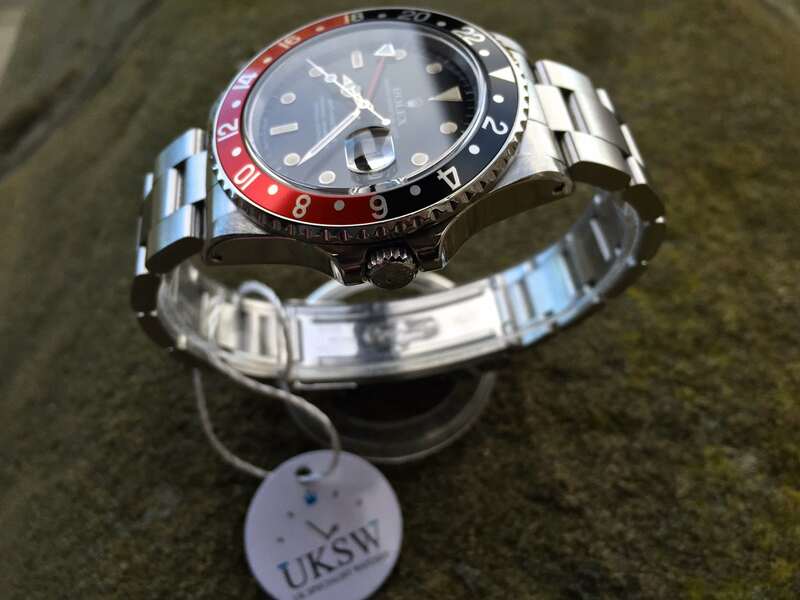 Manufactured from 1983 until 1988, the limited run of the 16760 was replaced by 16710 GMT-Master II with a new caliber 3185 movement and available with various bezel colour options and it also returned to slimmer case size. 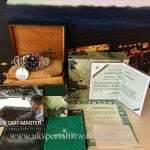 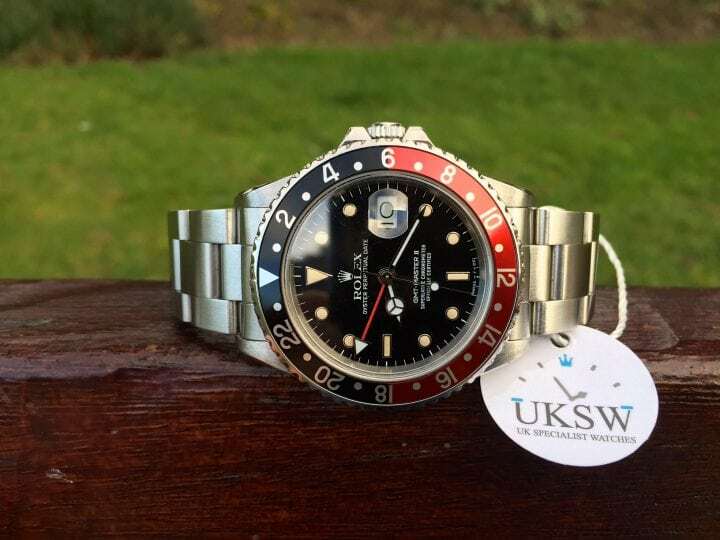 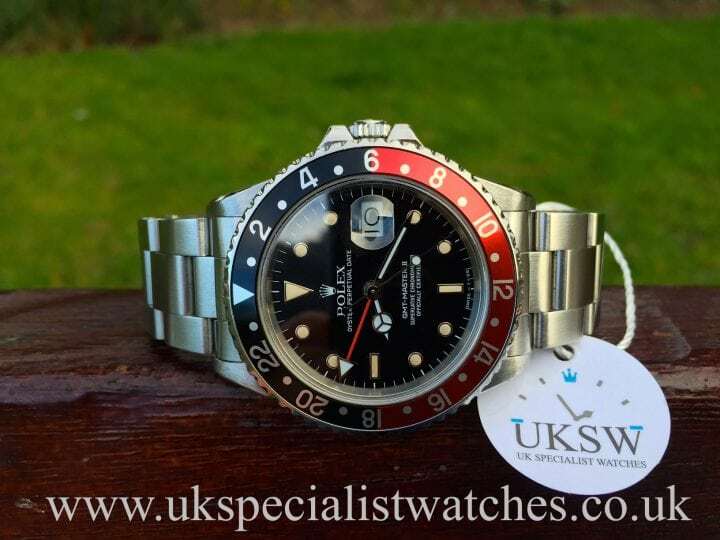 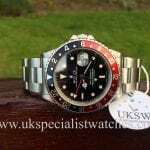 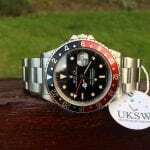 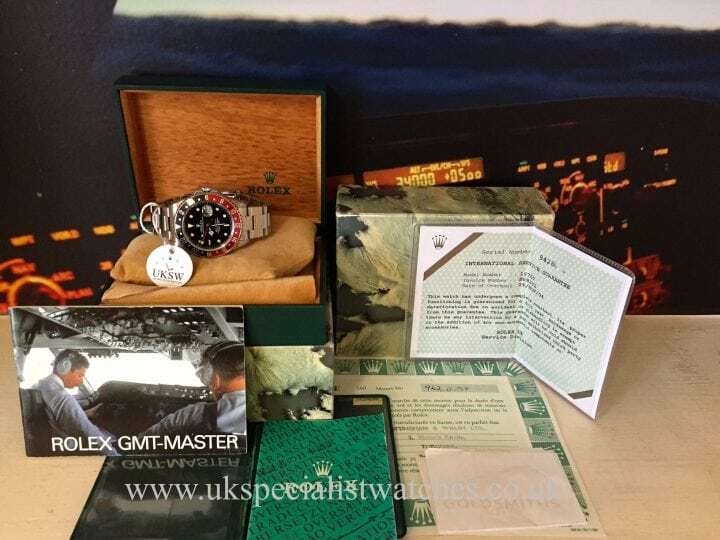 Making the 16760 GMT a very rare piece indeed especially this 1986 UK supplied complete with all original boxes & papers, GMT booklet, translation booklet, green wallet UK Rolex service paper dated Nov 2004.